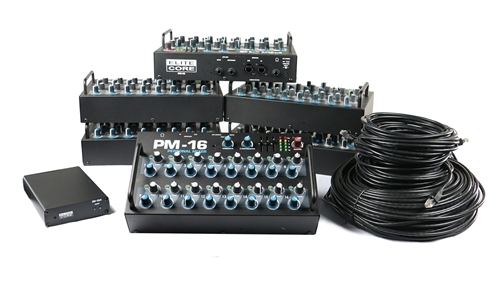 The PM16-CORE-DIGITAL packages contain everything needed to setup and operate a complete in-ear monitoring system using a digital console’s ADAT digital outputs to control channel assignments. 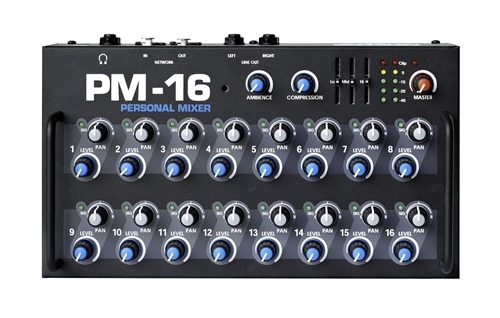 The immensely popular PM-16 mixer features sixteen channels with dedicated volume and pan knobs, master volume and EQ, an ambient microphone, and much more. 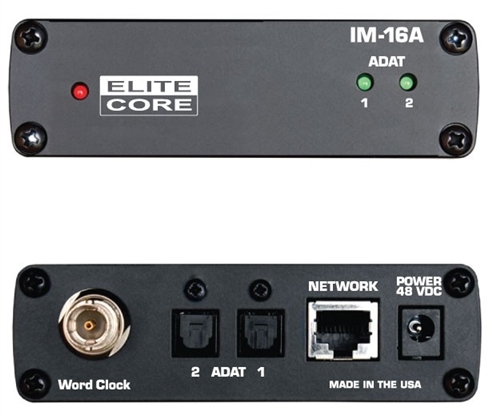 The IM-16A is a 16-channel ADAT to PM-16 Interface. Use the IM-16A to convert signals from ADAT optical sources such as mixing consoles, microphone preamps, Analog to Digital converters, and DAW interfaces. The data received by the two 8 channel ADAT optical inputs are combined and sent to the audio network as a single 16 channel Elite Core PM-16 data stream.